Jeffrey Lurie's battle for Kelly green jerseys continues. 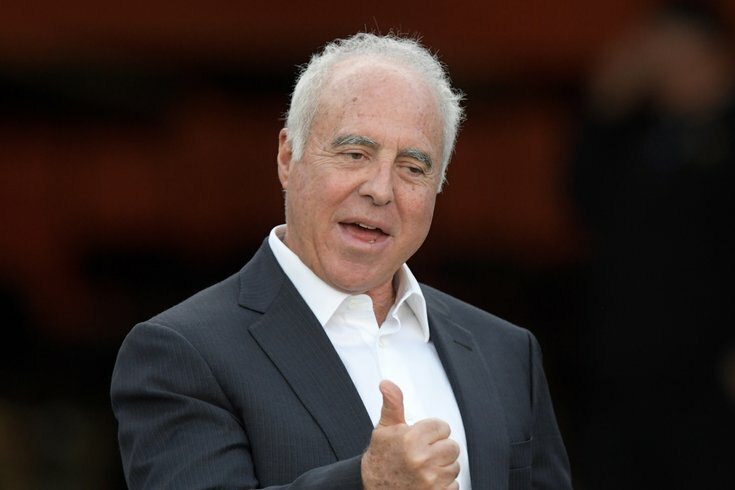 In his yearly press conference at the NFL Owners Meetings, Jeffrey Lurie fielded his yearly question about whether or not the team will occasionally wear Kelly green jerseys, and he sounded optimistic for the first time since the league implemented a senseless rule that teams cannot wear two different helmet colors during the season. Lurie restated that the Kelly green jerseys remain a "high priority," and he sounded confident that they would reappear in 2020. This time last year, a frustrated Lurie bemoaned the leagues dopey one-helmet color rule. "The whole key is that we want a Kelly green helmet to go with the Kelly green jerseys. We're trying to get the league to allow a second helmet. That's where it's at, so they very much know we want this and we want it badly, and we're waiting. "I don't know what entity of the league (is disallowing a second helmet), but in the end it's probably the commissioner. They have to decide if they want to go with a plan to be a two-helmet plan for the NFL, and that's not what we do now. It's a one-helmet league, so there's ramifications in that, I suppose. But they know with the Eagles, it's important to us. We really want to be able to have Kelly green jerseys at times, and to make it look really right, you should have matching helmets. "You'd have to research with (the NFL) on (their objections). There are a lot teams that don't want that to happen, maybe. Some teams really want it to happen. There are some complications to it, so I'll just leave them to work it out." The notion that anyone would object to making more money on Kelly green jersey sales is just so stupid. The Eagles last wore the Kelly green jerseys in 2010, and they were awesome.